This little girl is so much fun to spend time with. She's seven months old now, and trying to figure out how to crawl. Love that expression on her face. She likes toys. 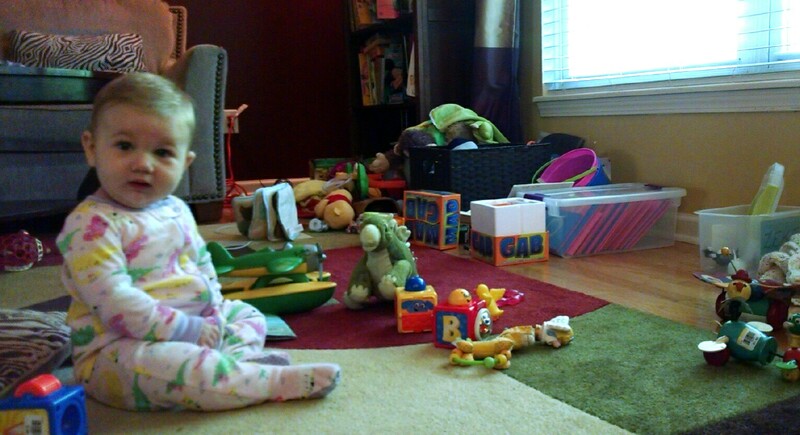 Lots and lots of toys. She likes variety too, as do we all. I love her determination to get where she needs to be so she can reach the toys. Just almost there. So cute. I hope you enjoyed this. We love all of you, and hope you have a wonderful day! Bye Friends. See ya later.